Still wondering what to do this weekend in Tuscany? We love medieval festivals and really look forward to heading to San Gimignano this weekend. 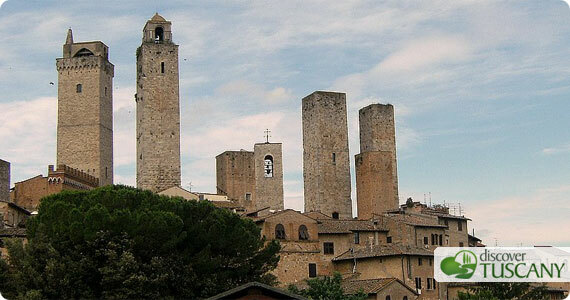 Famous for its tall medieval towers that create a unique skyline, this weekend San Gimignano will be celebrating the “Ferie delle Messi“, a fertility festival and pageant that dates back to 1255. Street music, theater, markets and a historical costume parade and jousting take you back to Medieval times in the village. The “Ferie delle Messi” festival was established in the statutes of the comune of San Gimignano from 1255 to 1314, and was celebrated by the whole population – divided into its four districts of San Giovanni, San Matteo, Castello, and Piazza – with dancing, singing, games, and jousting, all with the aim of encouraging a good harvest. The event takes place on both Saturday and Sunday, the highlight on Sunday being the Grand Procession where around 300 costumed locals, on foot or on horseback, parade in a stream of color along the ancient streets of the historic center to the Rocca di Montestaffoli, where they attend the “Giostra dei Bastoni”. The jousting tournament is fought by four knights, one from each district. The victor and his district are awarded the prize of a golden sword, symbolising wealth and fertility.